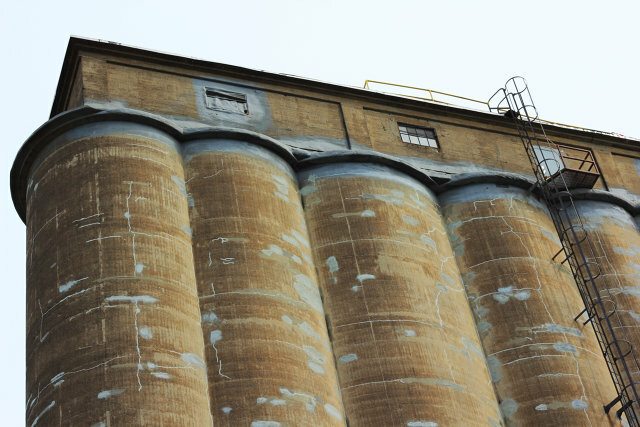 Can These Eerie, Abandoned Grain Silos Help Save Buffalo? In Buffalo, one local businessman has a grand vision for Silo City, a prospective cultural and recreational neighborhood. Will it work–or will it become another story in the city’s long history of failed revitalization projects? Just south of downtown Buffalo, near the city’s First Ward, lies an area of abandoned grain elevators known as Silo City. They sit on the waterfront of Lake Erie like squat memories of Buffalo’s successful past. The silos are in a state of decay–but could they hold the keys to a more prosperous future for the city? The city serves as the western terminus for the Erie Canal, which doesn’t mean much today as most of the grain from the Midwest moves east through the Saint Lawrence Seaway, but in the 19th and 20th centuries there was no other option but to move the harvests through the canal. As a result, Buffalo became one of the United States’ economic powerhouses. But once the city’s strategic position was made useless by the seaway, manufacturing in the city mostly dried up. The massive grain elevators were left abandoned, relics of a better time. The effects of the decline are ever-present in Buffalo today. Last year, Buffalo’s unemployment rate was nearly 3% higher than the national average. The graduation rate of city public schools is a staggeringly low 47%. Buffalo is a city in desperate need of a turnaround. Will The Motor City Replace Its Highway With A Giant Park? 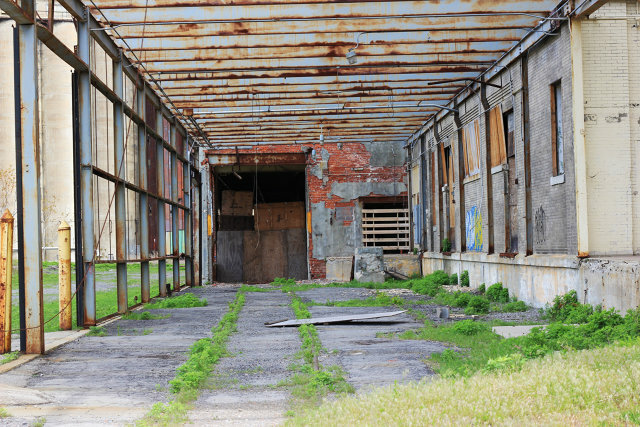 Other post-industrial cities, collectively known as the Rust Belt, have gone through similarly tough times. Pittsburgh, for example, was once the Mecca of the steel industry, but after experiencing a similar decline to Buffalo’s, it has been able to recapture its identity and economic stability in part by re-purposing the buildings of the past. An area of warehouses along the Allegheny River known as the Strip District has blossomed into a thriving region of markets, restaurants and shops that along with a similarly-thriving South Side neighborhood have helped to economically and culturally reinvigorate the city by encouraging residents–as well as tourists–to spend their hard earned money in the local economy. Now Buffalo’s old manufacturing district may be getting its own jolt of adrenaline in the form of a man named Rick Smith. Smith owns three of the grain elevators in Silo City and is a third-generation president of a Buffalo company called Rigidized Metals. At first, Smith’s idea was to keep the area industrial and open an ethanol plant, but when that plan turned out to be economically impossible, he was forced to regroup. Smith admits the failed ethanol plant was “financially devastating”–but that since then, he’s had an awakening. During his search for what else he could do with the space, he attended a preservation conference and was inspired by the enthusiasm of the people there. He listened to their ideas about identity and historical value as tools to boost economic progress, not hinder it–and this led him to value the silos in a new way. In order for Silo City to become anything other than a collection of strange relics, Smith knows he needs two things: people’s engagement and the ability to make money. Part of his plan involves making Silo City a center for design, a place where art and commerce collide. He imagines a buzzing mini-metropolis where students, artists, and designers live and work. He also imagines that the silos could host design and architectural conferences where “ideas could be bounced off design students who actually live in housing on site.” Buffalo State, Villa Maria College, and the University at Buffalo all offer design degrees and serve as potential partners for such an idea. For example, Smith imagines a scenario where students spend a year or two living in the apartments within the silos, studying and taking inspiration from their surroundings. 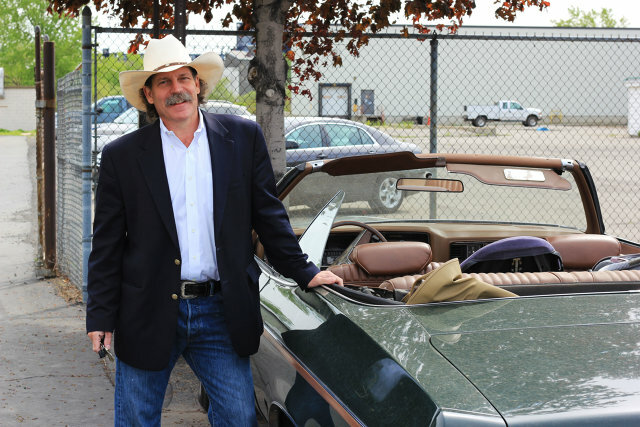 Smith thinks the grain elevators could also become a showcase for local businesses. For example, the silos could display advanced building materials that Rigidized Metals and other local Buffalo manufacturers produce. “Make one whole side [of one of the elevators] a showcase” by exposing building materials to the weather from Lake Erie in order to show off their durability, Smith proposes. Such a complex would offer a type of synergy rarely seen in the United States. “They have places like it in Europe, but not here,” Smith says. The site is already home to a 22-foot-tall steel, cypress, and glass sculpture in the shape of a silo which houses a colony of honeybees–Rigidized Metals paid for the $10,000 hive and fabricated the installation’s textured steel panels. Other pieces of Smith’s vision for the site include restaurants and recreational activities to engage Buffalonians in their free time and create dozens of local jobs. One of the three elevators, known as Marine A, is already being turned into a climbing facility by an outside group (with permission from Smith); climbers will be able to scale both the silo’s inside and outside walls. A typical day on the site might include renting a kayak (the silos are located along Buffalo’s Outer Harbor), going rock climbing, and then getting dinner and drinks. Smith has already been approached by potential restaurateurs eager for the unique location. Not only does Smith hope Silo City will attract Buffalo residents, but that it will also lure residents from the suburbs. Like many other Rust Belt cities, the economically struggling city of Buffalo is surrounded by smaller, more-affluent towns. Smith hopes that an influx of people with money to spend at Silo City will boost Buffalo’s economy. How can this kind of influx help? Just compare the total number of businesses in Pittsburgh (24,605) to the number in Buffalo (13,674). Though business is just one metric for the economic health of a city, it’s a snapshot of a city’s economic engine. With roughly the same population, Pittsburgh’s engine is revved while Buffalo’s has sputtered. Silo City is a step in the right direction. Though Smith’s vision for the grain elevators is ambitious, ambitious plans are not unusual on the Buffalo waterfront. Over the last 50 years, dozens of plans to redevelop and reshape downtown Buffalo and the waterfront have come and gone, bogged down by city government, resident opposition, or lack of funding. Some plans were realized, but failed. But Smith thinks things might be different this time around. “We’re reaching a critical mass of interest and momentum,” he says. Other business and community leaders seem to agree, as does the City page of Buffalo Rising, a site dedicated to keeping track of Buffalo’s progress. Nevertheless, Silo City has a long way to go before Smith’s dreams are realized. After all, Marine A only recently had its power restored for the first time since 1964. In addition to spending his own money, Smith will need to partner with developers and business to get the silos is working order. But in the last couple years, events held in Silo City have helped engage the young people who Smith believes are vital to the success of any local redevelopment. Events like City of Night, a celebration of art and creativity in Buffalo, have brought people to the site who may not have even known the elevators still existed. There are also a number of literary events being held in Silo City, as well as a long-standing end-of-winter event called Boom Days, during which the ice boom, a large hunk of ice built up from the winter, is released out of the mouth of the Niagara River. For part of the year, a flea market sets up shop once a month. Buffalo on the whole has some difficult obstacles to overcome in order to reach the economic success of cities like Pittsburgh, and its residents seem to know the turnaround will largely come from within. Nonprofits have sprung up devoted to everything from building to beautification. There’s even a literary center that places creative writers in residencies at many of the struggling public schools around the city. But nonprofits alone can’t turn the city around. It seems the private sector is catching up, in more ways than one, with projects like Smith’s reborn grain elevators helping to lead the way.